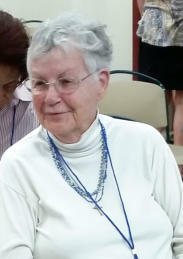 Allerdyce (Deche) Hamill is a founding member of the Treasure Coast Genealogical Society. She has been instrumental in the society’s direction and development. Recently Deche allowed our society to digitize her rather large postcard collection. We have scanned the postcards in and have catagorized them much in the way she had done in her collection books. Below ar links to each catagory for your viewing. We hope you enjoy this collection showing General Florida images and St Lucie County history.